XEX’s longtime client has written a book! First-time author Lynn Frances has been a client of ours since 2008. We’re excited to tell everyone about her new book, “C, You Can Do it!” The book is an inspiring read. We couldn’t be happier for Lynn! 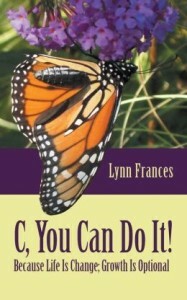 Learn more about “C, You Can Do It!” and purchase a copy by visiting cyoucandoit.com. C, You Can Do It!